Amazon rolled out an update today for the Kindle 3. Much to my surprise, Amazon gave the year-old K3 support for the newly launched Kindle Cloud. The Kindle Cloud is the term I thought up for the online space Amazon will give you to store your personal Kindle ebooks. It's 5GB, and everything you email to Amazon for conversion will be backed up in that 5GB. If you have a K4 (or K3, now), Amazon will also back up the annotations of any personal ebook you read on the K4 or K3. Amazon aren't done surprising me today. They just announced that all the Kindle apps would also be getting support for Kindle Cloud. All of a sudden the pieces are falling into place. Did you know that Amazon killed off the 1-email-per-Kindle feature? All newly purchased Kindles are now handled under one email address for each account. I didn't understand why Amazon did that when I first heard about it but now I do. You see, the emails are no longer necessary once all the apps and devices are able to access the Kindle Cloud. When this is rolled out, you're going to be able to go to your "manage Your Kindle" page and push any of your personal docs to any of the Kindles or apps. You'll also be able to pull the docs to the apps or Kindles while using them. This is actually a better design than the old email system, I must say. If you only have a single Kindle then you might not appreciate it, but as someone who owns several Kindles and has a bunchaton of apps installed, I love. But that's not the really shiny part. I'm sure you know that Amazon boast that the Kindle can be used without a computer; you can buy ebooks and send them to the device without having to plug it in. That boast falls apart when it comes to personal docs. At least, it used to fall apart but once the Kindle Cloud is supported on the apps, you really will be able to have a computer free digital reading experience. And then there's the fact that with the new Kindle Cloud support, the apps will be darn near as useful as the Kindles themselves. The apps are no longer going to be an appendage for the Kindle ecosystem (or a way for Amazon to sell more ebooks); they're going to be an integral part. Sure, that's going to cost Amazon some money, but server space isn't all that expensive anymore. Damn. Everyone keeps trying to get one step closer to Amazon and they keep staying one step ahead. 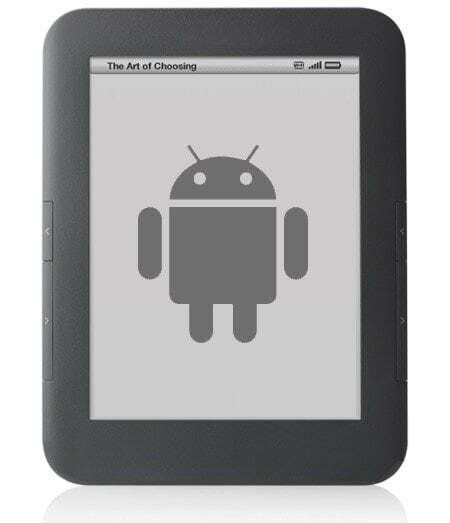 In order to compete with Amazon, everyone added an on-device ebookstore. Amazon responded by adding another feature that no one can match. They truly offer the least complicated user experience and I don't see that this will ever change. I’m not sure Amazon is just “staying one step ahead”. Tallying up all the moves of the past few months, the case can be made that they are extending their lead against all their various competitors: just in different ways against each. They’ve matched all the moves of Sony, Kobo, Nook, Apple, and Google plus racked up three new ways they outperform the competition: Special Offers, Library book annotations and sync, and Cloud Storage. And don’t forget they are still pretty much the only game in town for commercial digital audio books. Not exactly resting on their laurels, are they? Amazon changed the Send-to-all Kindle personal-doc processes about a week ago. Forumners have exchanged info on this. I think that initially the send-to-all was good for classes and workplaces maybe. But they reverted to individual sends in that if you specify one Kindle’s email address the personal doc will now go (as before) to that one Kindle, which is how most prefer it. But it’s all impressive – that sync’g on everything under the sun must be intensive on the server doings. Huh. I thought they changed in when the K4 launched. But no, I can still edit the email address for my K4.